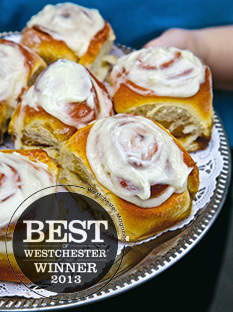 Susan O’Keefe was awarded once again as a best bakery of Westchester in the Best of Westchester. 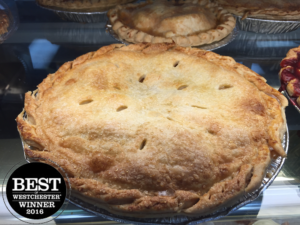 Handmade pies that are made fresh and from scratch every day. Our chocolate chip cookies are made from the richest chocolate and cookie dough. We make them fresh every single day and they are one of our favorites here at Baked By Susan! 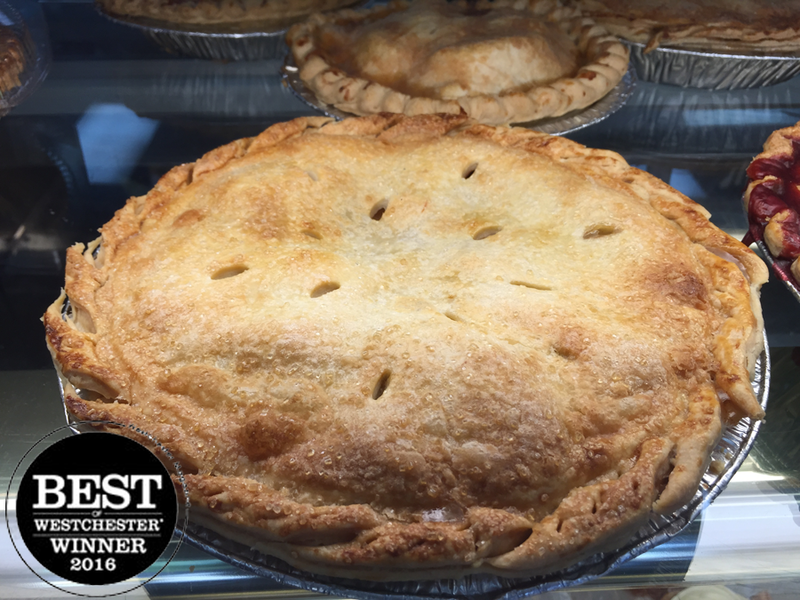 We offer a wide variety of quality pies for farm markets, retail bake shops and the food service industry. Our pies are made by hand, from scratch every single day. 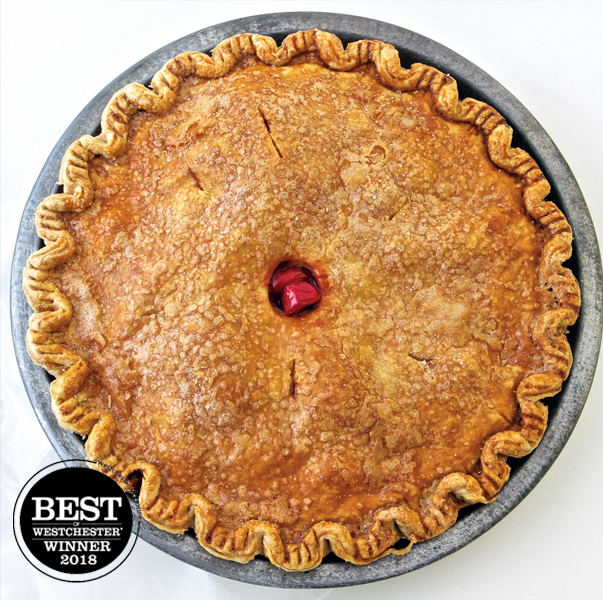 We use only unsalted butter, flour, water and salt for our crust and we use local fruit in season whenever possible. 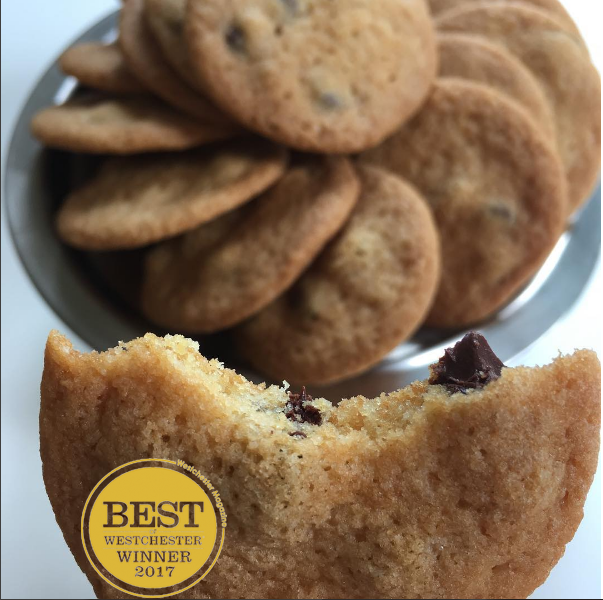 Trust us, you will see and taste the difference! 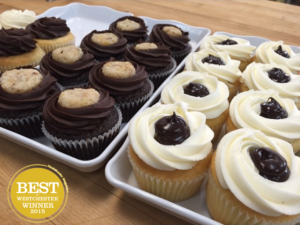 This year Susan O’Keefe was awarded Best of Westchester for “Best Bakery” and “Best Cupcake.” She offers classic ($2.50) and specialty ($3) cupcake flavors, as well as some gluten free and vegan options. In last year’s Best Of Issue, it was Susan O’Keefe’s cinnamon rolls that had us slobbering; this year, it’s her turnovers ($3), made with homemade puff-pastry dough (requiring a three-hour prep time!) 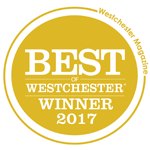 and apples fresh from DuBois Farms in Highland, New York (Ulster County). 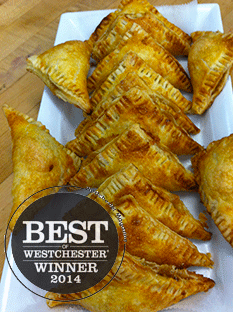 They’re not cloyingly sweet, and the ratio of dough to apples is spot-on. These hand-made, hand-rolled cinnamon rolls are not for lightweights. They are dense, rich, made with “lot and lots of butter,” and topped with a cream cheese icing. And, speaking of weight, we asked owner Susan O’Keefe to weigh one of these babies and it tipped the scales at a whopping six ounces. But seriously, if you are shopping around for cinnamon rolls, we really doubt you are counting calories.